Xiaomi introduced the new Mi Band 3 fitness band in October in India, the first launched was in China and over millions of units has been sold out throughout the world. The xiaomi Mi Band 3 is exclusively available to buy online in Amazon India with the price of Rs1,999 only. I’ve been using Xiaomi Mi Band 2 since last two years and I would say that Mi Band 2 is the successor so far instead Mi Band 3 but that doesn’t mean anything that Mi Band 3 is build up poorly. 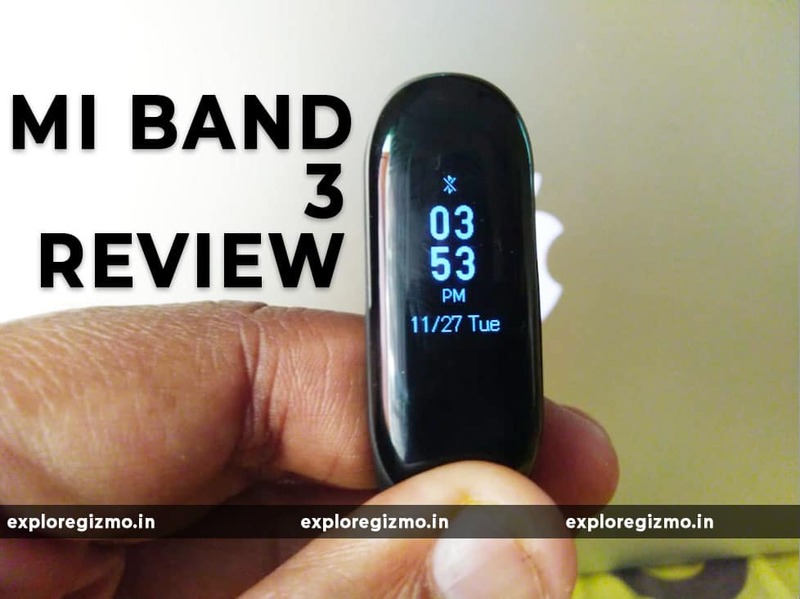 Xiaomi Mi band 3 is one of the best fitness band in the budget than any other expensive bands providing the features. Heart Rate monitor is seriously improved. Alarm always works without any problem, it vibrates as you can hear from another room. With the Mi-Fit app, you can customize the band, update the firmware and change the training mode. You can use different compatible apps like – Google Fit, Mi heart rate sensor, Tools & Mi Band, and a couple of other apps available on play store and apple store. I have been using Mi band 3 daily since last two months but I didn’t find any problem so far. Better to don’t use the Bluetooth connectivity because it will highly drain the battery and you won’t get the 20+ days battery backup. You can buy Mi band 3 accessories like Stripes, scratch guard and adapter on Banggood. I am impressed the mi band 3 smartwatch because of price which is under budget and second the community of Xiaomi if you have any questions you can ask on such community or also join our facebook group for any support. The pros don't mean the fitness band is not for you, some of the pros like battery and bluetooth can be improved by regular firmware updates.